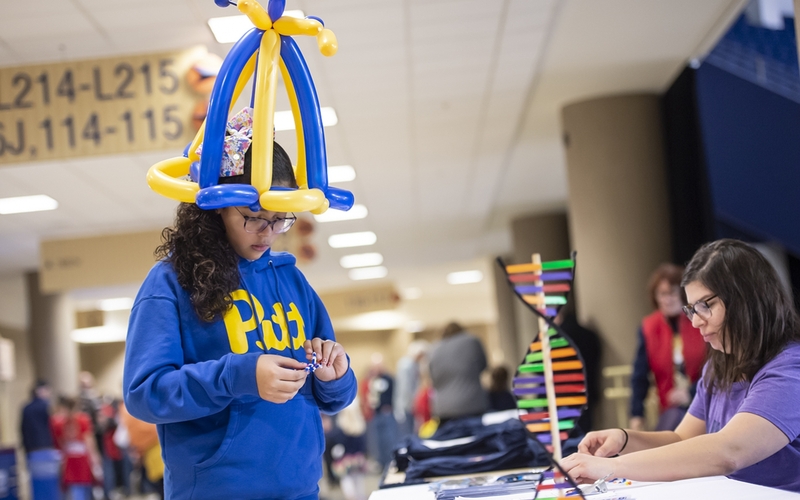 More than 2,500 fans flocked to the Petersen Events Center to enjoy an afternoon of hoops, prizes and courtside fun at the fourth-annual Chancellor’s Friends and Family Day. 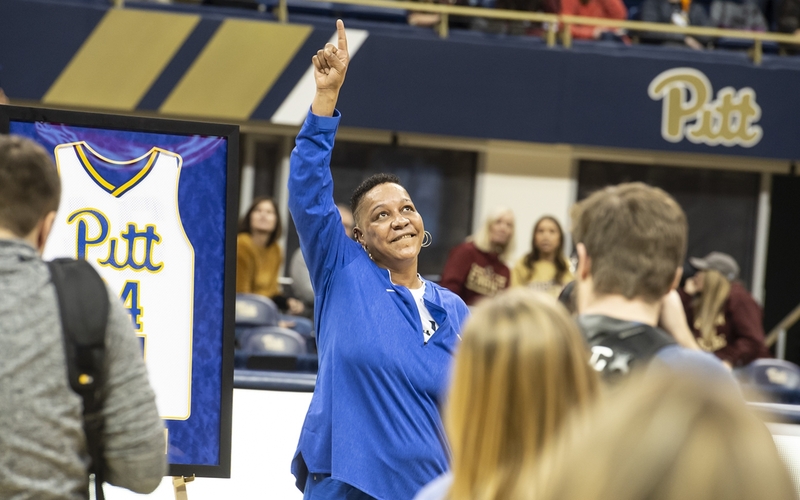 And, during a halftime ceremony, former Pitt star Lorri Johnson became the first player in the history of the women’s program to have her jersey retired. 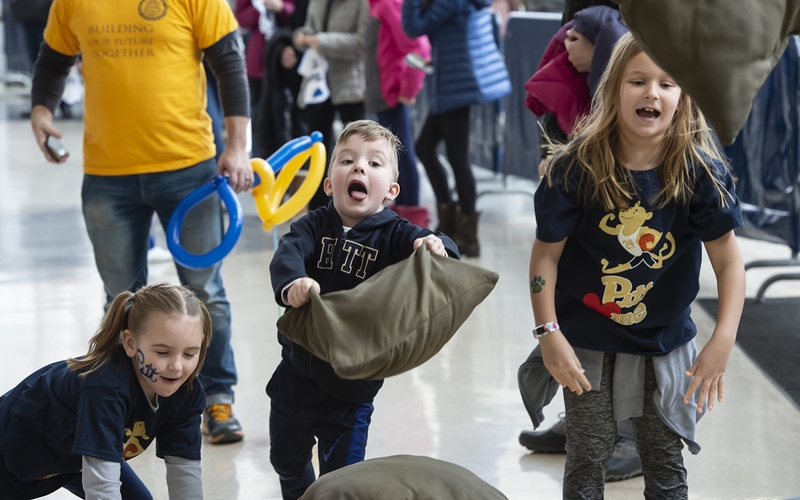 Pitt women’s basketball team took on Boston College on Sunday, Jan. 13, and family day ticket holders received complimentary food, snacks and soft drinks and children ages 12 and young got to take home free T-shirts. 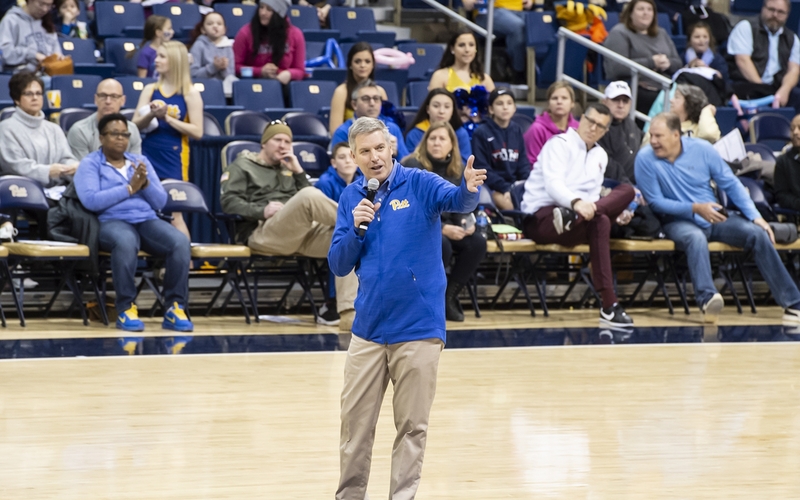 Chancellor Patrick Gallagher and Athletic Director Heather Lyke presented Johnson — the leading scorer in school history — with a framed version of her No. 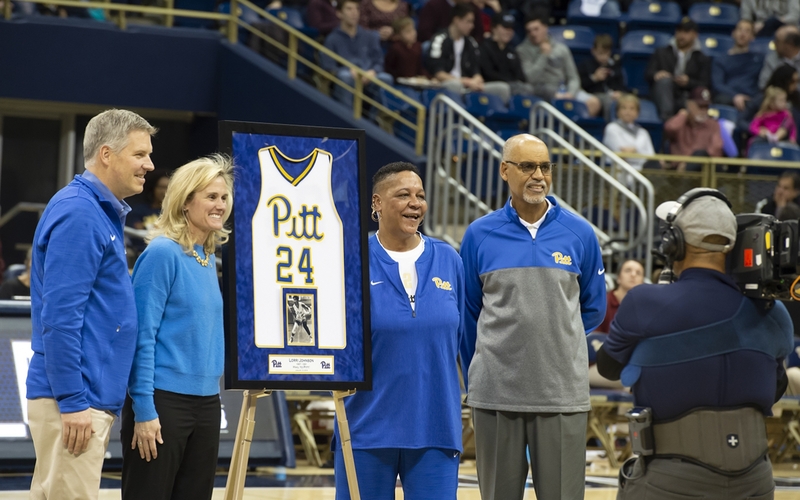 24 jersey during a halftime ceremony. Fans received white towels with Johnson’s No. 24 on it and waved them during the action. 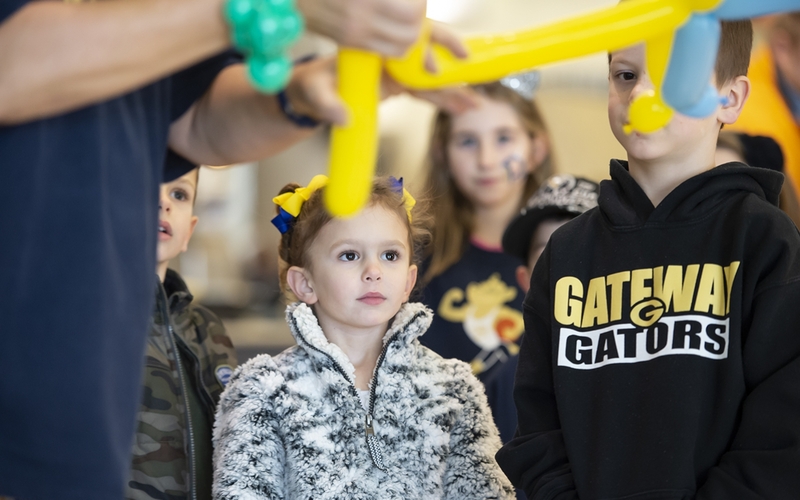 The popular annual event was planned by a committee led by Senior Vice Chancellor for Engagement Kathy Humphrey and featured pre-game activities like inflatable games, face painting and balloon artists and backdrops for selfies across the concourse of the Pete. The Panthers hung on against Atlantic Coast Conference foe Boston College before falling 59-55. 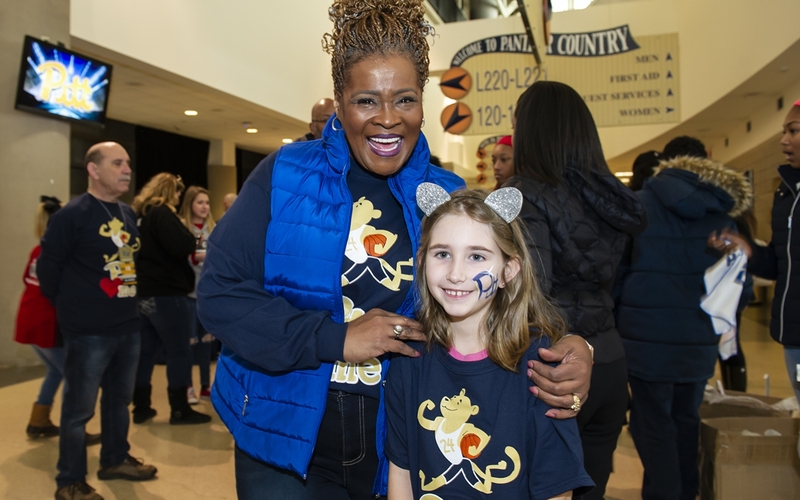 Among the highlights of the day were an acrobatic half-court shot at the halftime buzzer by Pitt junior Jasmine Whitney.